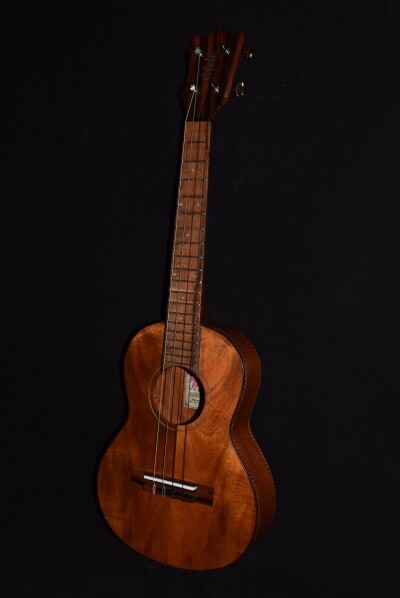 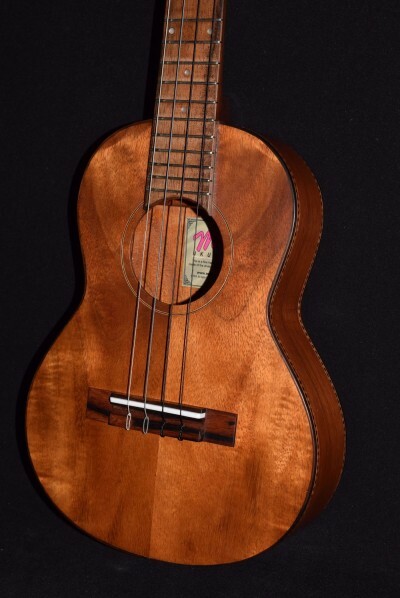 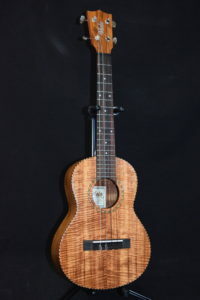 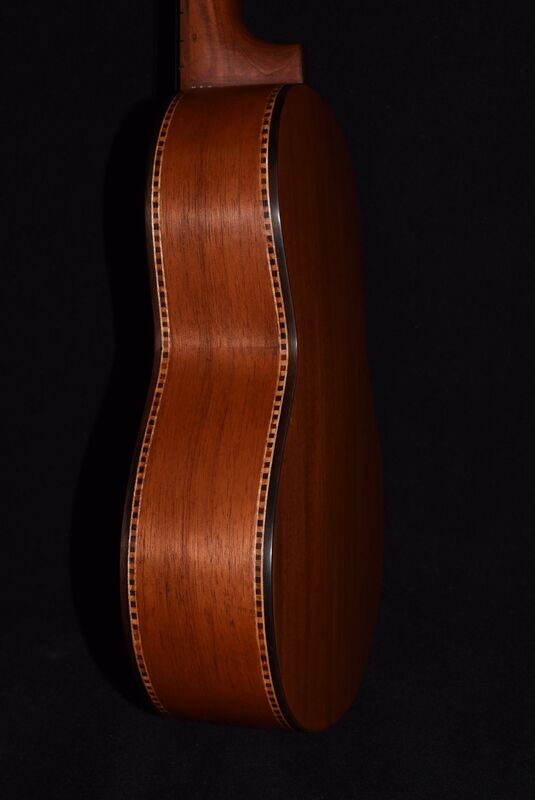 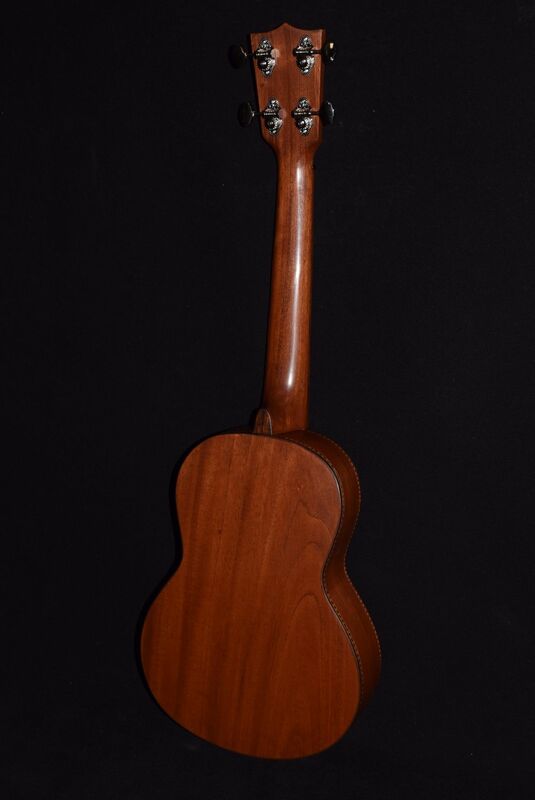 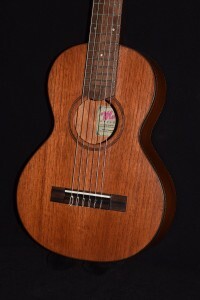 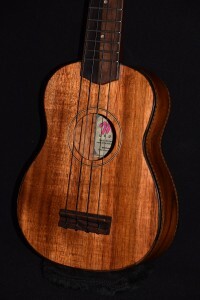 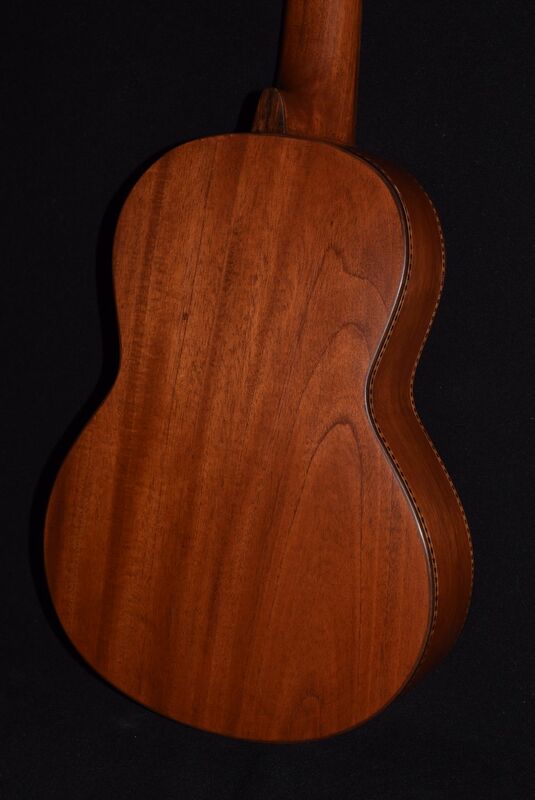 This beautiful handmade professional-quality instrument has a solid Big Island koa top and solid mahogany back and sides. Sounds as great as it looks! 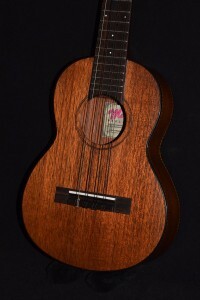 Ebony bridge, fingerboard, and binding, 19 nickel frets, 18-to-1 precision diecast nickel-plated Mele tuning machines.